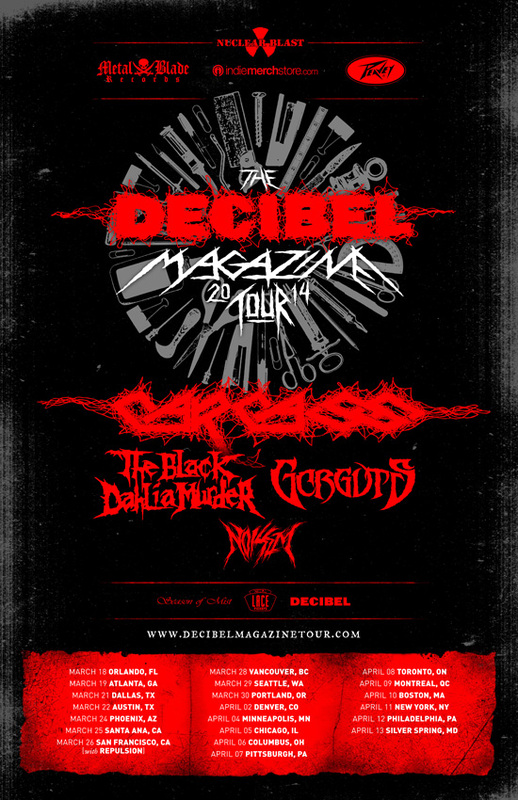 Tour dates have been announced for the third annual Decibel Magazine Tour which will feature Carcass, The Black Dahlia Murder, Gorguts, and Noisem. The tour will begin March 18th in Orlando and end April 13th in Silver Spring, MD. While I’m sure some people will go specifically for Carcass or Gorguts, I like all the bands on this lineup and think this is a pretty good mix of established and somewhat newer bands. Check out the full list of dates and additional details below. Carcass, The Black Dahlia Murder, Gorguts and Noisem headline renowned metal mag’s latest national tour this March. We know you can’t wait for these symphonies of sickness to be conducted either, so here’s your chance to score a great deal AND avoid standing in line. There will be a number of VIP premium packages available in each market, providing you with a T-shirt, poster, “Skip the Line” pass and free digital sampler from Nuclear Blast. The price of this package is less than you would spend on a ticket and a tour shirt at the show! 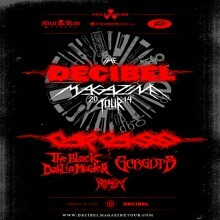 More details, including ticket info, are announced at www.decibelmagazinetour.com. Pre-Sale tickets are available now at http://www.showstubs.com/decibel. EXUMER to co-headline ‘Slaughterfest Tour 2013’ in Europe alongside ONSLAUGHT!